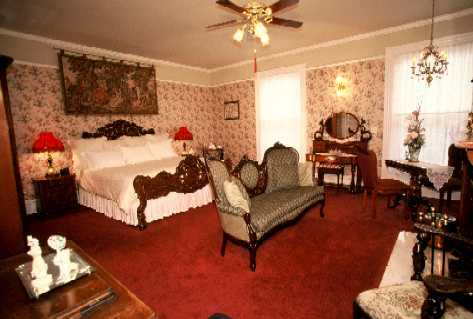 Yorkshire is our most elegant room and is furnished in late 19th century mahogany. A carved mahogany king size bed is the highlight of this room. A two person settee faces the largest of our gas log fireplaces. 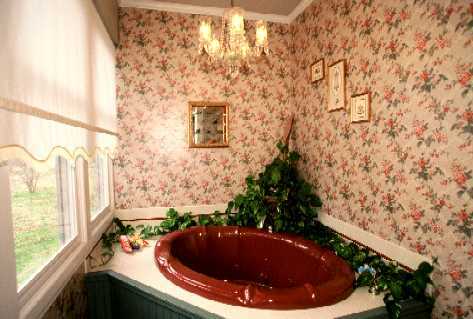 A small two person whirlpool is nestled in a separate tub room with a glass chandelier. 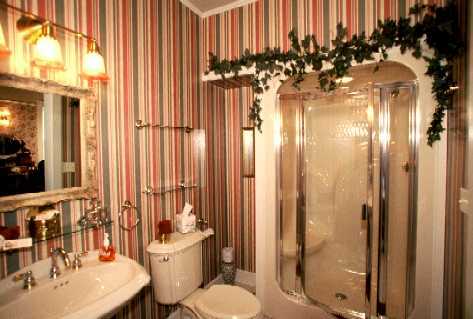 The bathroom contains a single shower with seat and large pedestal sink.